Key to the success of your vended laundry is card or coin operated laundry equipment that cuts utility costs – saving you energy, water and natural gas. Did you know that the average coin laundry spends 26 percent of total gross revenue on utilities, according to a recent Coin Laundry Industry Survey? By choosing energy-efficient coin op washers and dryers, you'll cut overhead costs and boost profits. Also key to success is the programmability, ease of installation, and durability of card and coin operated laundry equipment. 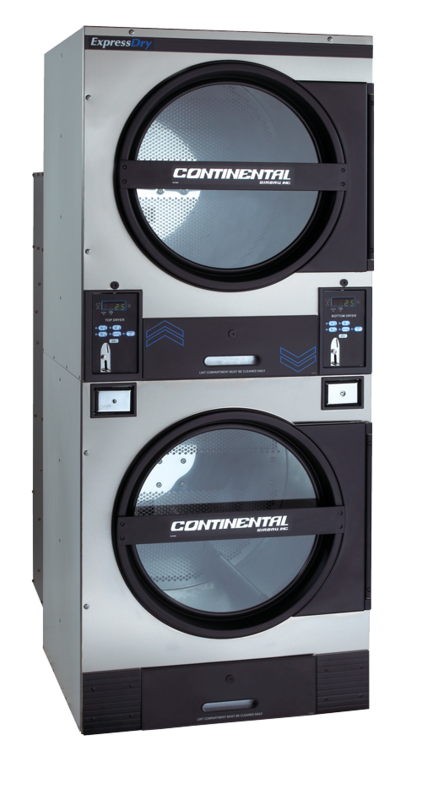 Continental coin op laundry equipment brings the ultimate in efficiency, ease of installation and programmability to store owners. Continental card and coin operated laundry equipment helps you bolster profits and customer appeal! 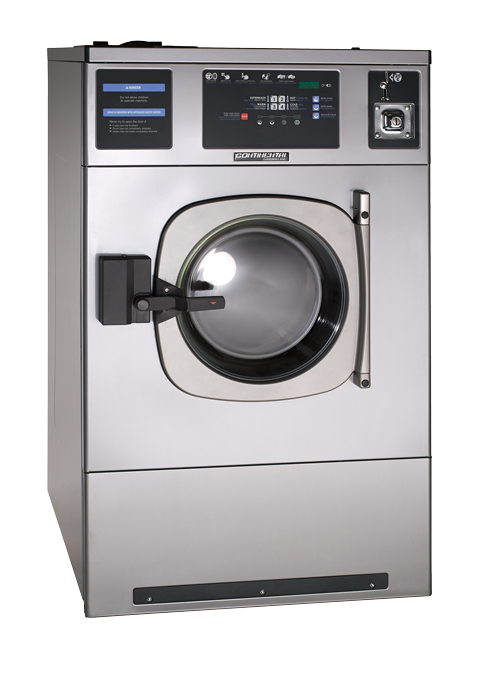 ExpressWash high-performance coin-operated washers are engineered to cut gas, water and electrical costs; deliver a customer craved 60-minute wash and dry; bolster customer turnover; and offer an easy to install freestanding design! ExpressWash coin operated washers deliver high-speed extract up to 381 G-force, unrivaled programmability and proven durability! 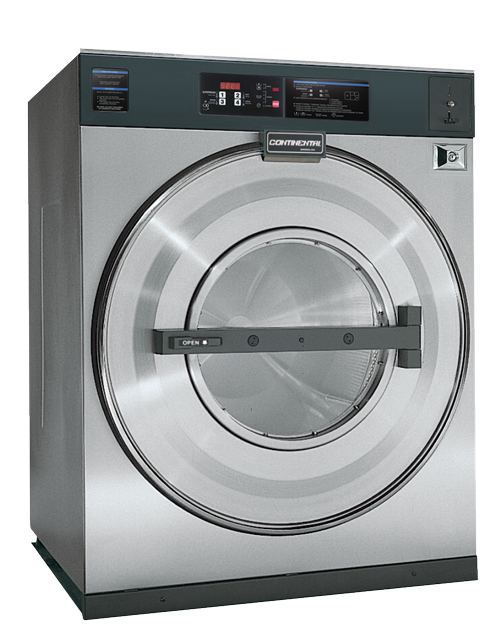 MG-Series Washer-Extractors are Continental's highest performing hard-mount coin operated washers. Generating extract speeds of up to 200 G-force, MG-Series Washers remove more water from every load—reducing dry time, increasing energy-efficiency and catapulting productivity. Continental's REM-Series hard-mount coin operated washers combine energy-efficiency with a space-saving design. Constructed with exclusive features, unmatched durability and the ultimate in programmability, REM-Series commercial coin operated washers guarantee a solid return on your investment. They reach up to 141 G-force extract speeds. 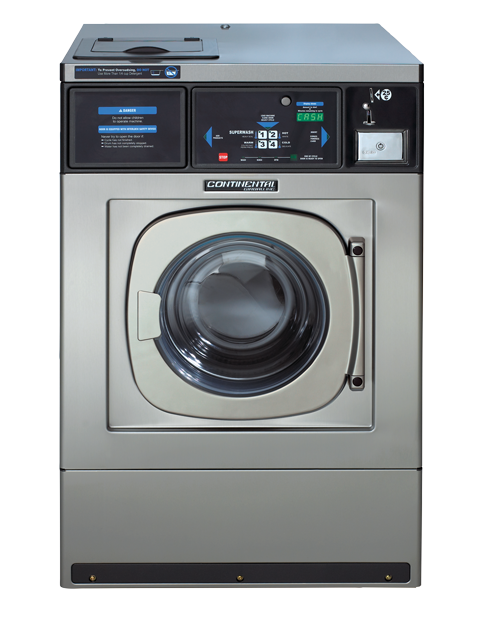 Relied on by the coin laundry industry for over 30 years, the powerhouse L-Series hard-mount card and coin operated washer is durable, easy to use and flexible. Ideal for coin operated laundries looking to maximize profits and reduce maintenance, L-Series coin operated washers reach up to 131 G-force extract speeds. 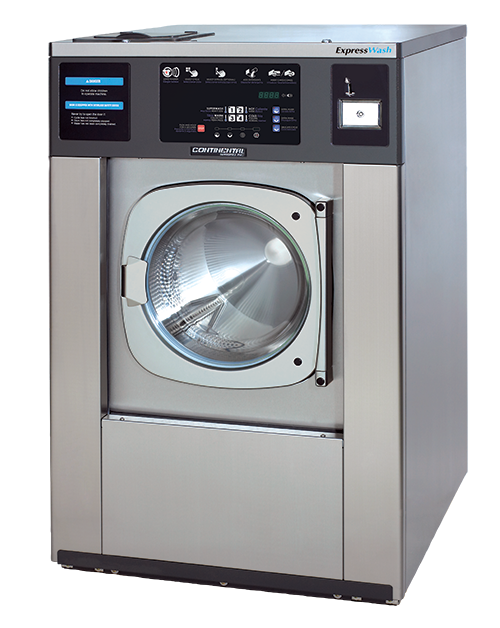 ExpressDry coin operated dryers offer unrivaled speed and energy-efficiency to deliver greater profits. They curb gas consumption, eliminate downtime and are easy to use. 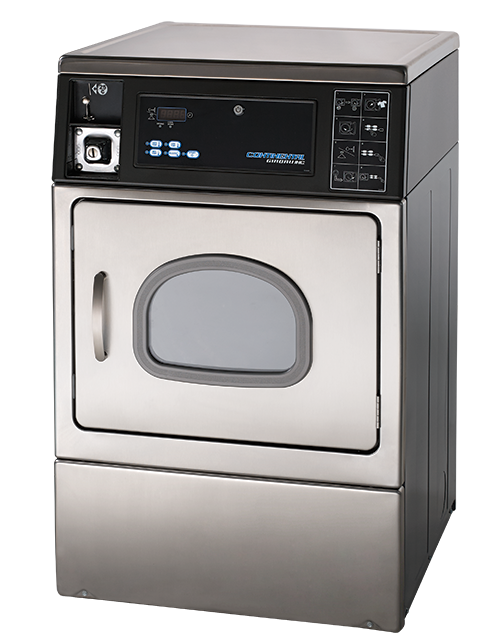 E-Series coin-operated dryers are designed to echo the efficiency and durability of the 20-pound capacity ExpressWash washer. E-Series coin operated dryers are built to last!